On April 9, 1976, Ochs hanged himself. 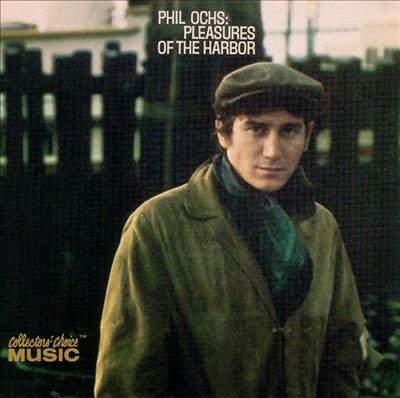 Pleasures of the Harbor was Phil Ochs' fourth full-length album and his first for A&amp;M Records, released in 1967. It is one of Ochs's most somber albums. In stark contrast to his three albums for Elektra Records which had all been basically folk music, Pleasures of the Harbor featured traces of classical, rock and roll, Dixieland jazz and experimental synthesized music crossing with folk, in hopes of producing a "folk-pop" crossover. I fell in love with song and with the album when I first heard it in 1969. Pleasures of the Harbor is so nostalgic, the quintessential music for sitting at the window and thinking of old times, maybe better times.